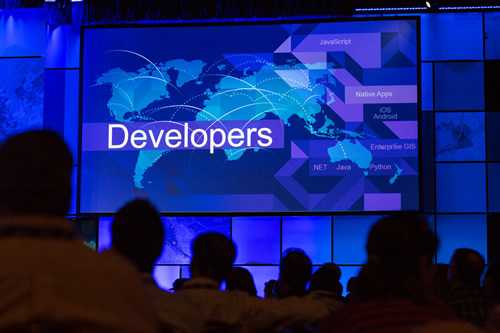 Developers devoured the technical information that flowed at the Esri International Developer Summit. There's a way to customize the color and style of your banner for Short List, a popular Esri Story Map template application.Read this tip. GitHub cofounder Chris Wanstrath chronicles how GitHub came into being and talks about the symbiotic relationship between open- and closed-source code. Read the article. Esri just released the Explorer for ArcGIS app for iOS devices. Read this article to learn how you can use this app to work with maps and data, anytime and anywhere. Esri's new Storytelling with Maps Contest might just be the nudge you need to start making web maps with the Story Map apps available from ArcGIS Online. Everyone's a winner when they make a Story Map, but read this article to get the contest details such as what prizes you could take home. ArcGIS Open Data is now in public beta. Read this blog post from Esri's Andrew Turner to see what you can do with your organization's public data and ArcGIS Online. View Esri Open Data, also in beta. Learn how to use the ArcGIS platform to collect and analyze information and solve crimes, such as commercial burglaries, in this webinar hosted by John Beck and Chris Delaney from Esri's law enforcement industry team. ArcGIS for Server now includes support for working with data offline using Collector for ArcGIS. Read the blog post and watch a video tutorial. Companies such as RideAmigos Corp. and CitySourced use Esri technology for their apps that involve interaction with people. Read the article. In 1960, Dr. Roger Tomlinson began to develop a computer program he called GIS. 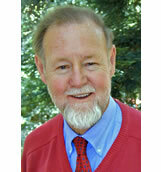 Dr. Tomlinson passed away February 9. Please share your photos of him for a tribute this summer at the Esri International User Conference. Submit your images by May 28, 2014. The Urban Observatory just added 105 new maps to the City Comparison app, including data from Washington, DC; Atlanta, Georgia; San Antonio, Texas; Portland, Oregon; and Victoria, British Columbia, Canada. Learn more about Urban Observatory. The new Esri ZipLookup app gives you a quick view of demographic and lifestyle information for every ZIP code in the United States. Find out the median age, household income, and more for each area. Learn more about Esri Tapestry data. In ArcGIS Online, you can use groups to better deliver access to maps and apps to others in your organization. Read the blog post about how to work in groups, and watch the video. Esri's Jeremy Bartley and several developers at the Esri International Developer Summit talk about Esri resources for building web maps and apps. Watch the video. Scanning historic maps at a high resolution is just one of seven best practices for georeferencing historic maps and data. This short tutorial will teach you how to accept an invitation to an ArcGIS Online organizational subscription and set up a user account. Take this three-minute tutorial to learn how to turn a map template into an app using ArcGIS Online. Devon Humphrey from Waypoint Mapping talks about the benefits of using unmanned aerial vehicles (UAVs) to capture GIS data. Read the article. Watch this video to find out how to use the tools in the Military Aspects of Weather template in Portal for ArcGIS and get started evaluating the impact of weather on missions and creating weather map products. Esri's SpatiaLABS lessons are free and now easy to download. The GIS lessons cover topics related to health, weather, water, business, forestry, and more. Read the blog post from Esri's Angela Lee. GIS technology can be used to teach almost any topic. Take the free web course, Teaching with GIS: Introduction to Using GIS in the Classroom. Esri's Joseph Kerski walks the talk, using ArcGIS Online to map data from his fitness app, Runkeeper. Read his blog post to learn how mapping enhances understanding, whether you are at work or play. Esri is on Instagram! #Geogeeks unite and share your geophotos, learn about Esri events, and more. 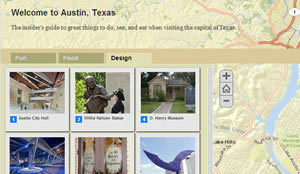 Reposted photos will be featured in Esri story maps. The call is now out for vintage Esri T-shirt pictures. 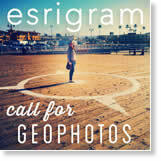 Follow us @esrigram. 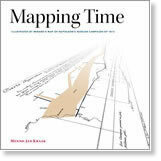 New from Esri Press, Mapping Time: Illustrated by Minard's Map of Napoleon's Russian Campaign of 1812 explores the challenge of visualizing a period in time, using a map of France's invasion of Russia as an example. Buy the book in hard cover. Esri offers Cutting Edge servers preinstalled with ArcGIS for Server on both Windows and Linux. These offers include optional database servers preloaded with Microsoft SQL or PostgreSQL.